This book came highly recommended by a friend, and although I readily admit to being...shall we say, frugal?...since the recommendation was from such a trusted source I let the moths out of my wallet and paid the full Amazon asking price for this book on Kindle, even though I generally won't spend over $6 for an ebook. This one cost me $8.39 (AUD). Now this could be the time for me to start a tangent about the cost of ebooks, especially by traditional publishers when all you get is basically a file. Yes, a lot of hard work goes into writing and publishing a book and costs should be recouped and profits made, but...As an Indie Author myself I know exactly how much it costs to produce an ebook, and I must say traditional publishers tend to overprice their ebooks, but enough about that. This is a review not a tangent. So back to The Martian. 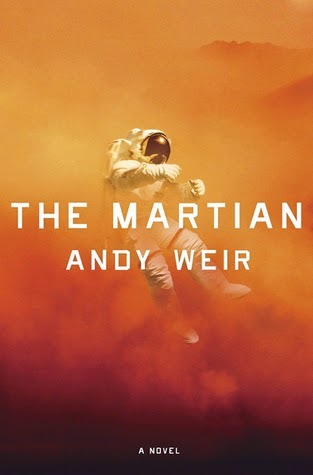 I will admit ***PSEUDO SPOILER ALERT*** I was sadly disappointed that there were no true Martians in this book. I thought that would be a cool plot twist. But I didn't write it, so...And - although it has been likened to Castaway, there is no Wilson. 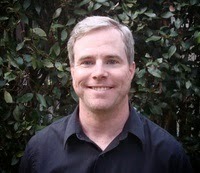 The only Martian is Mark Watley, the astronaut who is the main character in this novel. Watley was stranded on Mars when the Ares 3 mission he was on with 5 other crew members had to be aborted, and his crewmates left him believing he'd been killed in an accident. The book is primarily written as Watley's ship's log as he tries to figure out how to survive in such a harsh climate with very limited supplies. There are also sections from NASA's perspective and the perspective of Watley's crewmates. Although I love sci-fi, I do not have a degree in science so most of my scientific knowledge is pretty limited. There was a lot of technical stuff in this book that Watley describes as he goes into survival mode. I can't tell you if the science is accurate - I trust it is - but I can tell you that for me that part was boring. Although, how can you write a book about attempting to survive from the perspective of the survivalist without the technical aspects, I don't know. I just know I didn't enjoy those bits at all and there were a lot of them. I did find the story interesting, and there were a few humorous bits, but I found myself unable to connect with Watley or any of the characters in the book. Was that due to my issues with the technical stuff? Maybe. I'm not sure. I can tell you this book has over 4,000 five star reviews, and less than 400 that are three stars or lower. That means 90% of the people who have read this book really, really liked it, so it appears I am in a huge minority with my feelings here. It's even a Goodreads Choice 2014 winner and I believe it is being made into a movie. I didn't hate it. I liked it. Just didn't really like it. Are there any books that have gotten rave reviews that you weren't all gung-ho about? Tell me about them in the comments. And here's a little All About that Bass parody by NASA called All About that Space - a bonus for you - just because I love it and it's space related. No info was found on Goodreads or Amazon for this author other than this photo. I really, really liked it. One of my faves this year. Also why not just borrow it from the library?